Whatever your reason for transferring money to Thailand , you want to be sure that it doesn’t cost an arm and a leg. We look at how to get the cheapest money transfer. Using a worldwide money transfer service can be a quick and easy way of moving large sums of money from one country to another, and changing it from one currency into a second. Online money transfer could save you time and money, whether you need to make a significant purchase abroad, want to move your salary and/or pension payments, or need to send a lump sum to a friend or family. However, with so many companies offering this service, finding a cheap international money transfer can really make a difference to how much you’ll pay. Popular ways Of Transferring Money To Thailand. How to Make A Cheap International Bank Transfer To Thailand ? There are two main costs you need to check when looking for the cheapest money transfers overseas – these costs are the fees charged and exchange rates. Fees include commission, as well as any sending fees and receiving fees at the other end. (Although, the provider doesn’t always know or declare what the receiving fees will be). Some providers charge lots of little fees rather than a single, larger commission or sending fee. This can disguise their total cost, so make sure you add all their fees together to get a clear picture. Exchange rates are trickier to work out as providers tend not to declare their rates, so instead you are better off comparing the total cost of transferring your money.For both fees and exchange rates you may be able to get better offers if you transfer larger sums of money, so always compare the minimum transfer thresholds to see if you could get their best rates and lowest charges. Which money transfer service is cheapest? The easiest way to find out which service offers you the best deal is simply to take the amount that you want to transfer and compare the total cost of transferring it with each provider. Some money transfer services provide a next day transfer at an additional cost, if you need to use this option you should include the extra charges with the total transfer package they offer to find the best deal. If you add up all the costs for each provider you can compare the final sums to see which offers you the best deal. How To Compare Money Transfer Services To Thailand? With some providers it is also possible to buy one or more ‘forward contracts’, where you arrange a money transfer for a future date with a fixed exchange rate and fees. This is useful if you don’t yet have the full amount you’ll need to transfer and want to know exactly what you’ll pay. While providers may give you a slightly worse exchange rate as a charge to pay for fixing the rate, this could let you take advantage of current exchange rates if you think they are likely to fall in the future. However, if rates get better then this could mean you are worse off. If you have access to the funds you want to transfer now you can make a transfer at the current ‘spot’ rate. These transfers are processed the same day and usually take around 3-5 working days to reach the specified account.First, you should filter money transfers based on the products that offer the service you need to the country you specify, including extras such as next day transfers and whether you can make in person, transfers online, via a broker or over the phone. When you have found the products that meet your needs you can compare their transfer costs and the cost of extra services to find the cheapest international money transfer for your funds. 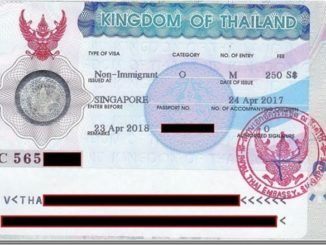 This is a very quick & efficient way of Transferring Money to Thailand they have over 437,000 overseas agents in over 200 million countries & territories.